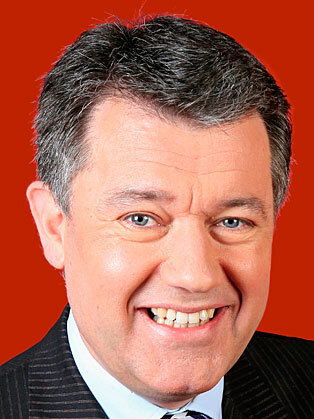 Michael Collie began his full-time broadcasting career on BBC WM as the early morning newsreader. He nationally has reported for Radio 4 which he worked for 5 years, winning the Jet Media Excellence Award for Radio for an investigation into car mileage clocking. He has also worked as a newsreader on Radio 2. On television he worked on Countryfile as a presenter/reporter for 6 years, also presenting on Top Gear for two series. He was the presenter of BBC2's "Paddles Up" canoeing series, and also appeared as a model on BBC1's The Clothes Show. Michael Collie's voice has appeared across the BBC1 network, including Telly Addicts and "The Day on BBC One". Away from broadcasting, Michael has scripted and hosted concerts for the Philharmonia Orchestra in London and the City Of Birmingham Symphony Orchestra in Birmingham. He has also worked with other music ensembles, including Birmingham Symphonic Winds. Previously he worked as a motorcycle courier, a painter and decorator and in a steel rolling mill in Sheffield. He is an Ambassador for Girlguiding UK in Birmingham and also Patron of two charities: Side by Side Theatre Company (Stourbridge) and Wings, both charities for people with learning or development difficulties.